An extension of the service that we provide to the sick and injured of Hampshire and the Isle of Wight, our Critical Care Team Vehicle is crewed by a team of HIOWAA doctors and paramedics and has parallel capability to the Air Ambulance. 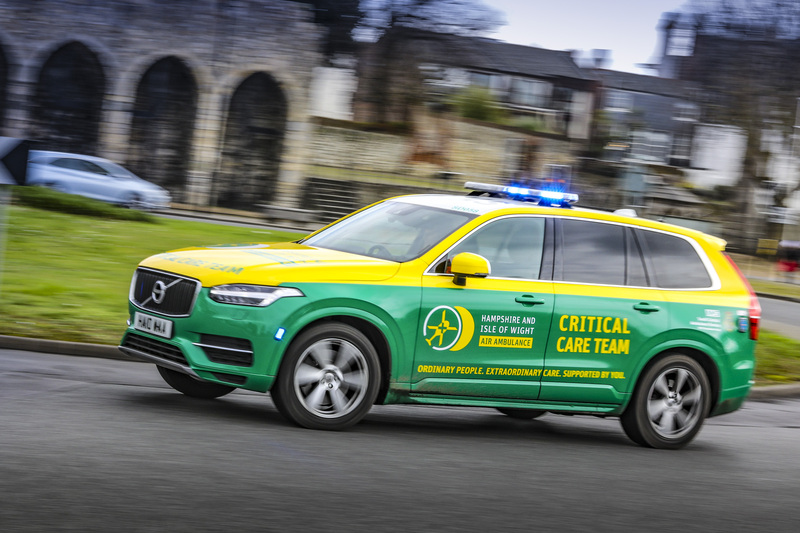 The Vehicle, a specially converted Volvo XC90, operates seven days a week, during the day, providing the same enhanced care as that delivered by the Helicopter, but now able to get to the more difficult to reach urban areas. Additionally, the Vehicle provides a vital training platform for Pre-Hospital Emergency Doctors and Paramedics in order to grow sustainable numbers of these highly specialised professionals.